Sweet and tangy. This sauce is used to dip fried chicken. It can also be used for a dipping sauce for fried spring rolls, or any fried ’street food’. Store opened bottles in the fridge. Coconut Milk & Cream are essentially the same thing. The cream is thick and will rise to the top, similar to un-homogenized milk. It also has more fat than the milk. Homemade coconut milk/cream has the best flavor. A good substitute is canned coconut milk from Thailand. Good brands are: Chao Koh (Island People) and Mae Ploy. If you buy canned it’s best not to shake the can like they suggest. Instead, open it and use the ‘head’ (cream) to fry the curry paste in. The coconut fat really brings out the flavor! There are bags of frozen coconut milk available in some Asian groceries. While the flavor is better than canned, it separates and gets chunky when you heat it. I’m not sure why freezing does this to coconut milk. I’ve experimented with freezing my own homemade fresh-pressed coconut milk, and the same thing happens. The flavor is OK, but the consistency is quite odd. So, I recommend canned. If you are lucky enough to find Chao Koh brand coconut milk in a paper carton, this is even better. Storage: Fresh coconut milk goes bad very very fast, and should be used the same day as pressing. Canned also spoils quickly, and should be used within a few days of opening. Curry Paste comes in so many varieties. The most common is ‘Red Curry Paste’, which is pictured to the left. You can make your own, or you can buy pre-made at most Asian groceries. My favorite brand is ‘Mae Sri’. You can store curry paste in the freezer for months without losing any flavor, and since it has low moisture content, it doesn’t get rock solid. Bullion/Soup stock cubes are essentially a fast trick to replace chicken or pork broth in a soup or curry. Knorr brand makes some which are available in Thailand as well as Asian food stores in the West which have flavor more suitable to Thai food. There are even ‘tom yum’ flavors! 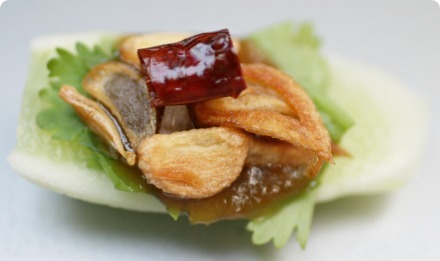 The ’shitake mushroom’ flavor works well for a vegetarian substitute for chicken or pork broth. These cubes are very flavorful, so only 1/4 or 1/2 cube is enough for a soup. They’re also very salty, so be careful. You can buy this pre-made in a bottle at most Thai groceries. This is used frequently in Tom Yum Goong. Store opened bottles in the fridge. You can make this yourself: naam prik pao recipe. This sauce is made from soy beans which are fermented with salt. 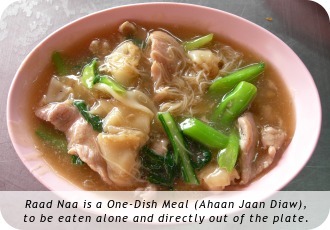 In my opinion, dishes like ‘Raad Naa’, and ‘Pak Boong Fai Daeng‘ would not be tasty without salted bean paste. I like ‘Healthy Boy’ brand the best. Store opened bottles in the fridge. Originally from Sri Racha, a town on the ocean near Bangkok, now known all over the world! Similar to ketchup, but with a kick. Excellent on Thai Omelettes. Store opened bottles in the fridge. Sweet soy sauce is a bit darker and thicker than black soy sauce. It’s sweet, with a hint of molasses. Vegetable oil is used in almost all Thai food which is cooked on the stove. Any oil will work, altho I recommend Rice Oil and Peanut Oil. Soy oil also works. Most Thais use Palm Oil. Make sure your oil is fresh, and hasn’t been sitting in the cupboard for a year. If it smells funny, ditch it and get a new one.